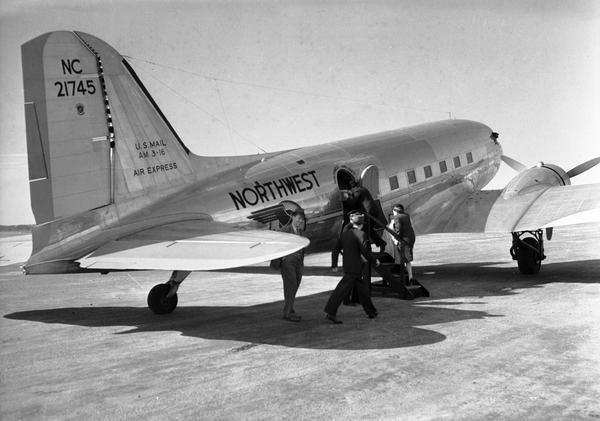 Passengers boarding a Northwest Airlines DC-3 at Madison Municipal Airport. When this airplane was photographed for the WPA by Harold Hone, the DC-3, one of the most important airplanes in the history of commercial aviation, had only recently been introduced by Douglas Aircraft. Because of their larger passenger loads, DC-3 freed commercial airlines from their dependence on airmail contracts.